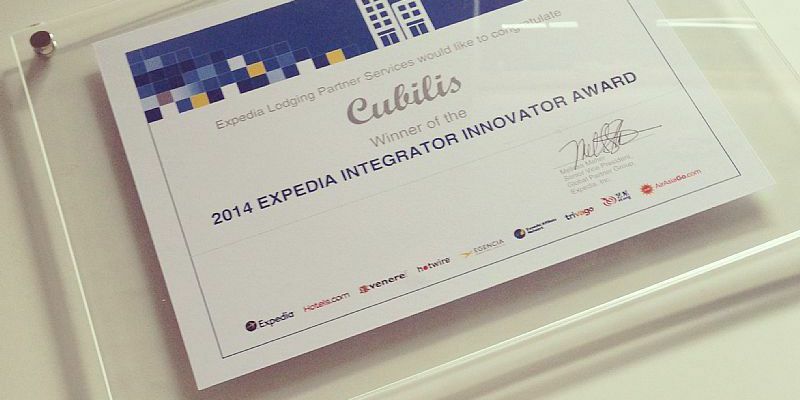 Expedia handed out the Integration Innovator Award to Cubilis because the online booking giant could connect on an inventive manner with Cubilis Channel Manager. This programe allows hotel owners to easily manage their OTAs (online travel agencies), tour operators and GDS. "The fact that we received this prestigious award from Expedia, proves that our hard work of delivering the technically optimised connection, is appreciated by this leading company in the travelling industry. Stardekk does not only try to keep a good relation with its customers but also with its connectivity partners.“ says Stardekk CEO Vincent Goemaere. Stardekk developed Cubilis, an online reservation and distribution system for hotels, B&Bs and other types of accommodation. The commission free booking engine allows hotel owners to receive direct and commission free reservations through their own website. Cubilis Channel Manager allows hotel owners to easily manage their booking sites through one central platform. More than 2500 accommodation owners already use Cubilis. Expedia is an internet travel website with its head office in Bellevue, Washington. The company is created by Rich Barton and lloyd Frink and momentary has websites for more than 30 countries. Customers can book flight tickets, hotel reservations, car rental, cruises, vacation packages and diverse attractions through the internet. The website uses multiple Global Distribution Systems, also known as booking systems for flights and hotels, such as Amadeus, Sabre, Pegasus and Worldspan together with booking systems of hotels. These hotel reservation systems are shared with other Expedia, Inc websites as well as with travel agencies. Expedia was once started by Microsoft and later separated itself as a multi-billion dollar company. Stardekk is founded in 1999 in Bruges (Belgium) by CEO Vincent Goemaere. The company is the market leader regarding online hotel software in the BeNeLux. More than 2500 accommodations already use the online booking system Cubilis. Stardekk also offers solutions for online marketing, web design and development of internet applications. The company focuses on the travel industry.